This Norton comes up for auction in New Zealand with a price tag of 75.000 to 95.000 Euro. The description suggests it's a genuine machine discovered in the 1940s but unfortunately it has been restored to a condition from which it is hard to tell how old it is and which parts were fitted by James Lansdowne over a century ago or by a bloke in New Zealand last year. Below is part of the description from Webb's, the auction house. 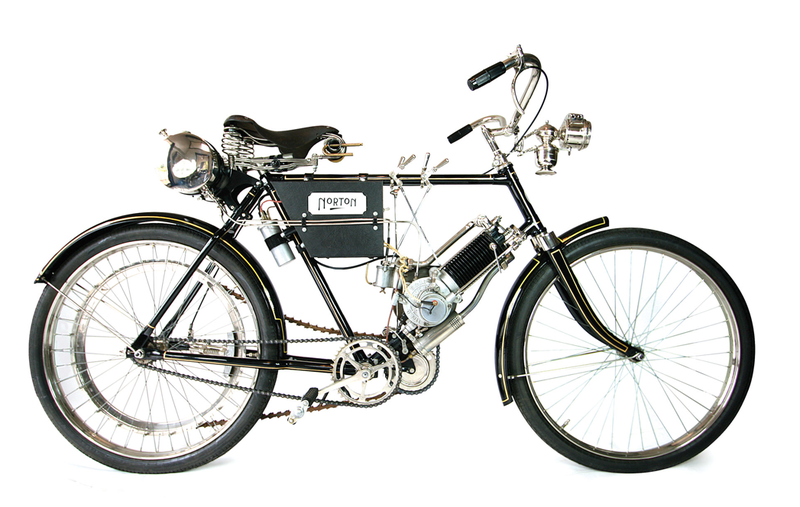 "The machine’s recent history starts in 1945 when Russell Miell saw the bike while collecting scrap metal for the war effort; it was hanging in the roof of a workshop in Kingsland. Some 15 years later, the machine came to Russell in return for a good deed. 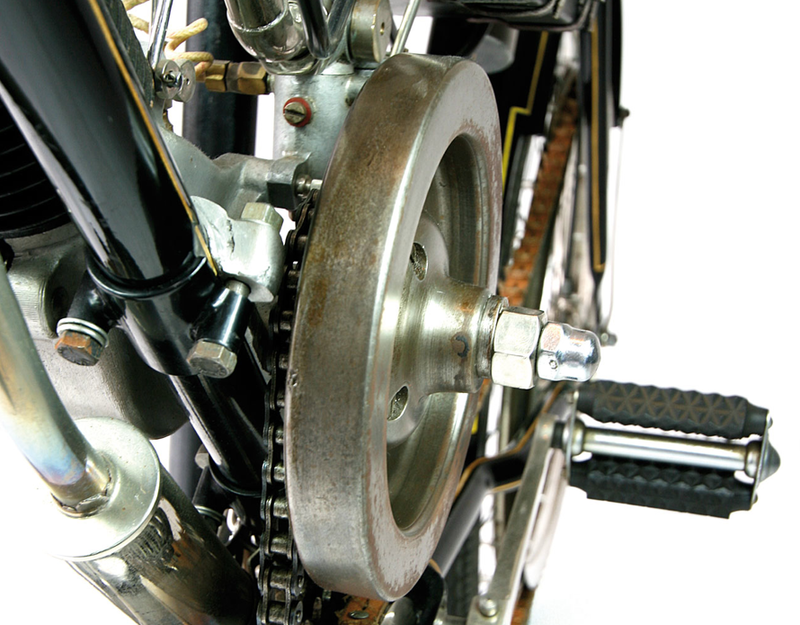 As Russell undertook the task of bringing the machine back, he found the word ‘Norton’ stamped in small characters on the pedal crank casing. The chassis number 289 was located also. Although the machine was basically complete when first obtained, Mr Miell had to remake some parts such as the fork stem and the extra control levers, using the two bronze examples that were with the bike as patterns. The original tyres, which were still on the machine when restoration began, were white beaded-edge rubber that could not be replaced so 26”x2”x1 3/4” tyres on modern rims are presented. The behind-seat petrol tank is marked ‘Essence’, which betrays its French origin, and was originally nickel plated like many other parts of the bike including the cylinder barrels."